When it comes to taking the perfect picture, the right lens for your DSLR camera is just as important as the camera body. From what distance will I be taking pictures? What is my subject? Is it stationary or moving? What do I need to know about "sensor sizes"? What are the different types of lenses? Am I going to be shooting in low-light environments? Depending on how you answer the above questions effects the type of lens needed for optimal shooting. It is important to understand the different types of lenses for different situations before deciding what lens will best fit your needs. Standard lenses that can be used in various environments and have a lot to offer for novice or intermediate photographers alike. Am I looking for image quality or ease of use? Do I shoot primarily inside or outside and will the lens perform adequately in each setting? Will it be difficult for me to carry more than one lens? Am I buying this lens for a specific purpose, such as sporting events or nature photography? Will I be using this lens for photos at a variety of distances? If so, a lens with a wide range of focal length, such as an 18-200mm, would be more useful than a lens with a focal length of 70-200mm. The wide range of focal length (lets the lens? Needs something like that) is able to take images at a much closer distance, while still extending to the 200mm focal length. The depth of field on telephoto lenses makes selective focus much easier to achieve. Selective focus is when the subject in the foreground is crisp and sharp, and the background is blurred, calling attention to the foreground or background in the process. 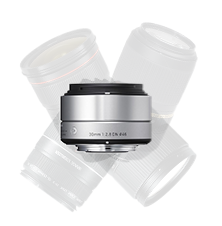 Fixed distance lenses for specific photo shoot preferences. Macro lenses are specialty lenses used for extreme close-up photography. This lens is usually best for small objects in which the size of the subject in the photograph is greater than its actual size. These lenses are ideal for photographers with this specific need, whether they are novice or expert. Are ideal for product photography focusing on small objects such as birds, insects, or flowers. Wide-angle lenses are generally used when the photographer wants to capture more of the scene or landscape in the photograph. This lens can be used in landscape, architectural, and interior photography where the photographer has a finite use of space to photograph the subject. 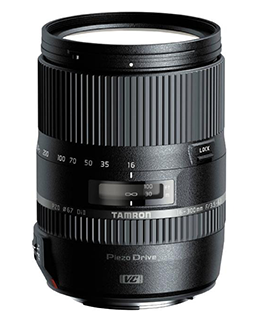 This lens is most suitable for intermediate to expert photographers with its specific capability and needs. Fish eye lenses are often used when the photographer needs a wide-angle lens that allows for visual distortion associated with panoramic images. Fish-eye lenses use lines of perspective to produce an enhanced "distorted" image with a characteristic convex appearance. This lens can is recommended for intermediate to expert level photographers. 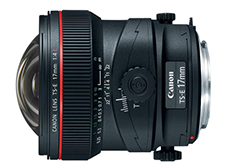 Tilt-shift lenses are specialty wide-angle lenses used to control perspective in an image. They are most commonly used for landscape and architectural photography and have a fixed focal length. Tilt-shift lenses have knobs which change the angle of the lens vertically and horizontally to counteract the effects of perspective, such as a tall building appearing to get skinnier towards the top. Clean the glass to avoid costly repairs. Only use appropriate lens cleaning cloths and solutions designed for lenses. Clean the rear and front elements using a soft brush to remove any dust or unwanted particles. Clean between each moving part. Clean and store your camera maintenance tools in an appropriate storage container. 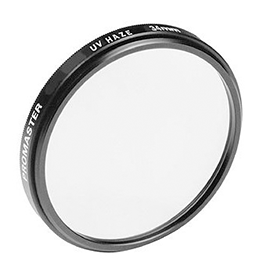 Consider using an inexpensive UV filter to both enhance your images and protect the surface of the lens. Remove the camera lens from the camera. Always use lens caps of both ends of the lens. Make sure the camera lens is in a air tight storage container, ideally with silica gel packets to absorb moisture. Store the lenses in cool and dry location, away from temperature fluctuations and moisture. There is no magic formula to buying a camera lens that will allow you to photograph from every angle with perfect image quality. You always must decide what your needs are and which camera lens will help you achieve your objective. The best way to choose your lens it to make sure it is within your budget, that you have a need for that specific lens, that you have the right amount of education and experience to use the lens, and you have the right make and model to fit your DSLR camera.